This year I am going all out! 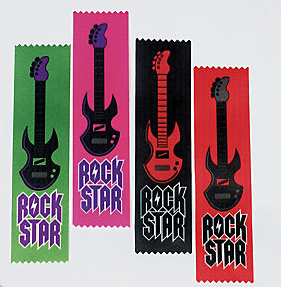 My kindergarten classroom is going to be in a rock star theme. 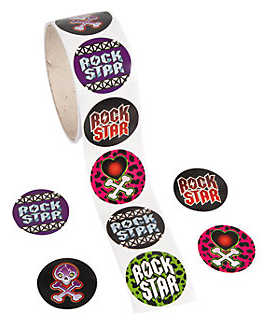 After I created the Rock Star This and That Classroom Decor set that I will be using, I had my eye out for other rock star necessities. 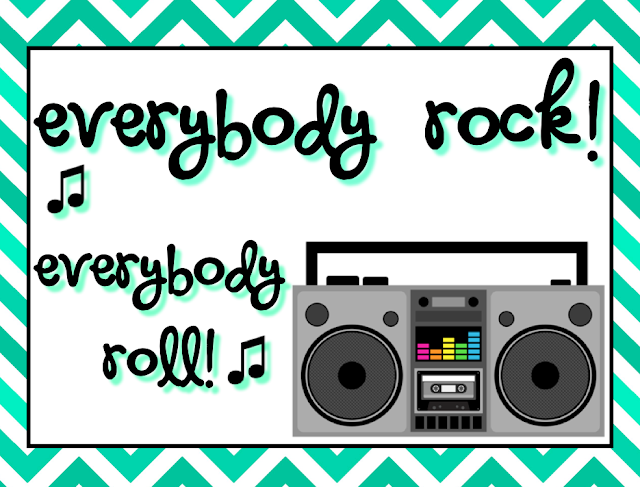 So keep reading to see my rock star classroom decor journey. Maybe there are "treasures" you know about that can help complete my classroom this year. First, I created the following classroom decor packet that I will be using in my classroom. My classroom cabinets are lime green, so I thought this color scheme would work great. 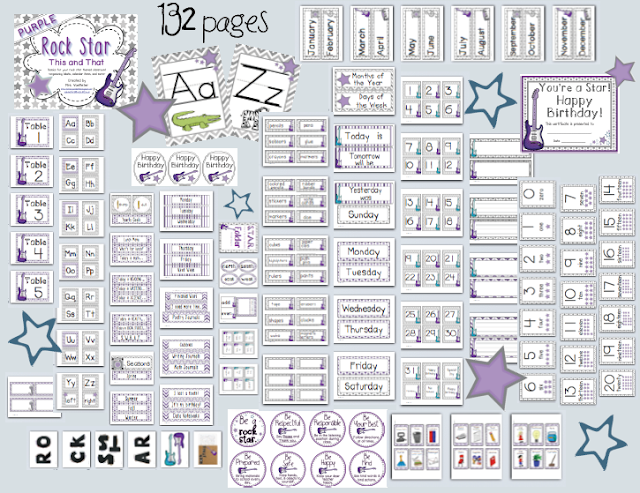 Then, a fellow TpT'er wanted this same classroom theme packet in purple. 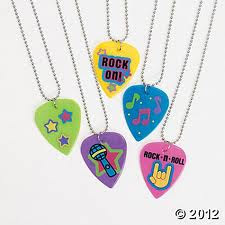 Now, I will not be using the purple, but it may be an option if you are looking for a purple rock star theme. 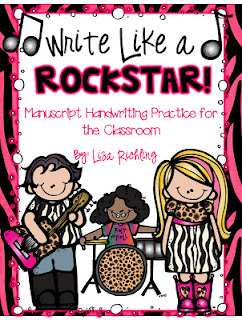 Next I found Lisa Richling's Write Like a Rock Star packet. Check out all the posters you get in this packet. I am super excited about the songs/chants to teach correct letter formation. I also discovered this craftivity from Tiffany at The Lemonade Stand Blog. I may incorporate this craftivity into the first week. I think it would make for a great hallway display. Next, I went looking through Oriental Trading for some more "treasures". 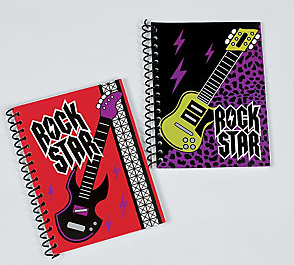 I found some neat rock star theme must-haves. Finally, today, I found an incredible "treasure". 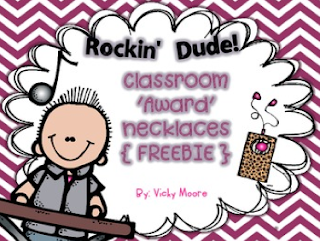 Victoria Moore, from Traditions, Laughter, and Happily Ever After, has Classroom Award Necklaces for free on TpT. My favorite part about this product is that it is a reward system that is positive and goes along with our school-wide PBIS plan. Keep your eyes peeled because I am still looking for a few good "pointers" for anchor charts and instruction. I am also looking for a couple small lamps either gray/red or gray/lime green. I have found a few, but I just want them to be reasonably priced. Now on to a freebie. I use this Attention Grabber as part of my classroom transitions and routines. I say, "Everybody Rock." Students reply, "Everybody Roll." 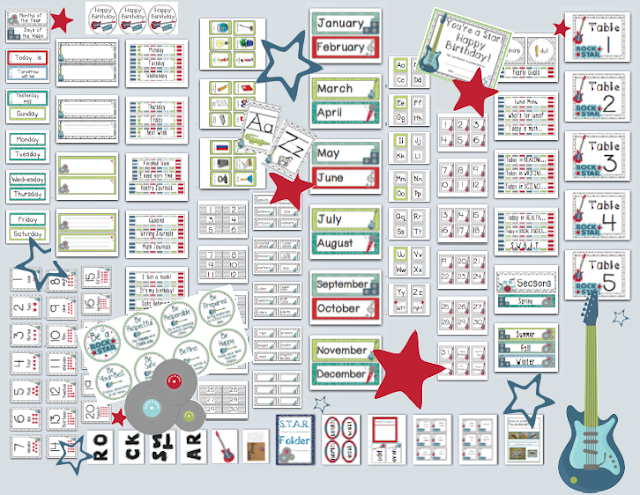 Click here or the picture below to grab your free poster. 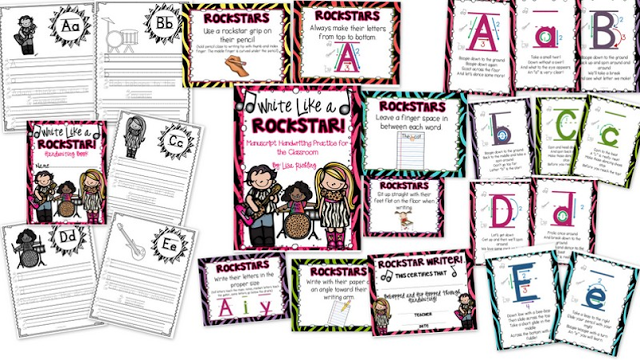 Awww, thanks for the shout out - your kiddos will love your new theme! Super Cute! Thanks for the FREEBIE! By the way, I have been using your fonts in my recent products and they look great! They are GREAT! Thanks for all the great links! I have a rock star theme, too, and I'm definitely going to take a closer look at this stuff--AND visit Oriental Trading! บาคาร่า The game will provide a professional gambler with good lane. There are many fun bets to play. Can play professionally. บาคาร่า Fun and entertaining websites filled with online gambling games will allow you to play all kinds of games. There is a game where everyone is good at gambling every day. I will bet it will play as it will play itself. Betting Every Day Every Day Gambling is the way everyone will play online at home. The bets to play well are all bets every day. Just choose a professional gambler. Have a game to play as you would like to win every single match that everyone plays every day.